Alessandra Rich ensured her models shimmered from head-to-toe on the Fall '18 runway with oversized earrings and embellished shoes. 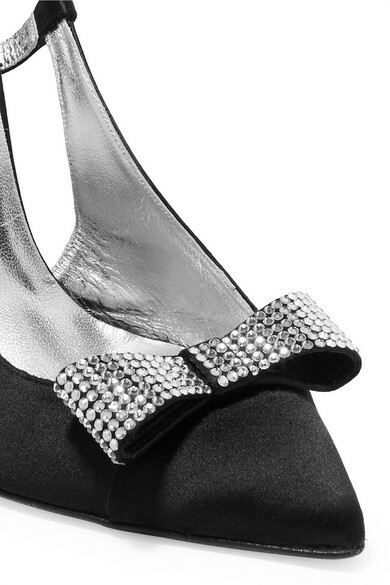 These slingback pumps have been made in Italy from smooth black satin topped with Swarovski crystal-encrusted bows at the pointy toes. Wear yours with opaque tights to enhance the leg-lengthening effect. Shown here with: Alessandra Rich Dress, Hillier Bartley Clutch, Alessandra Rich Earrings.